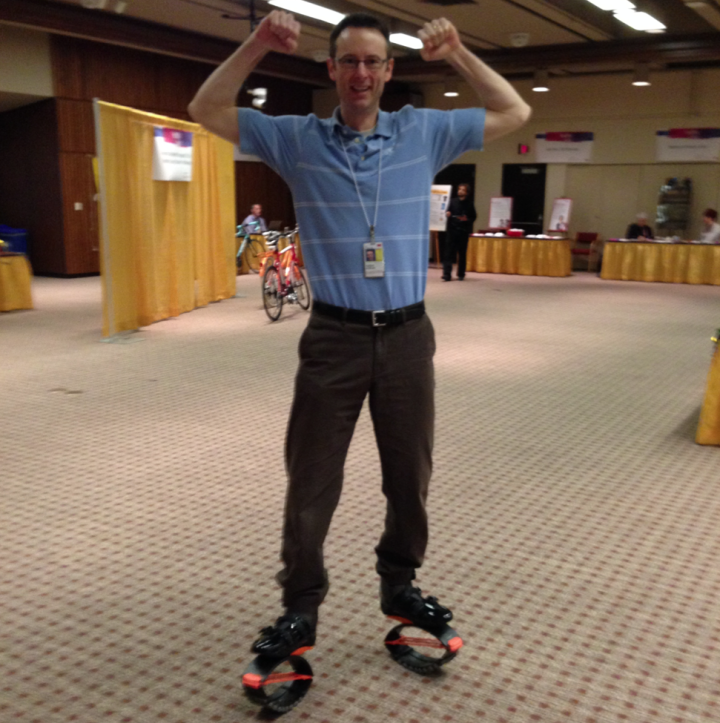 On March 27th, 2014 I went to the 3M Healthy Living Fitness Fair with 4 of my colleagues here at OSI. I was so fortunate to spend the day with Nate DeBruin, Brent Jorud, Lisa Hanselman, and Kari Paulson at this event to promote OSI’s services at 3M. It began with me meeting Kari bright and early to set up our table. I have lived most of my life in St Paul, but had never actually stepped foot on 3M’s property. This would be en exciting new experience for this local St Paul guy. It’s always been seemingly somewhat of a remote little community for me growing up. I did have some very good friends with parents who worked at 3M, but the projects, products, and activities always seemed so ‘top secret’, like a local Area 51. So as you can imagine I was quite excited to finally get a look inside the company and the people that worked there. As for OSI, we have an occupational health office at 3M in the basement of building 220. This particular OSI location is just for 3M employees. On a daily basis we see a multitude of 3M employees and help them with a wide variety of issues. 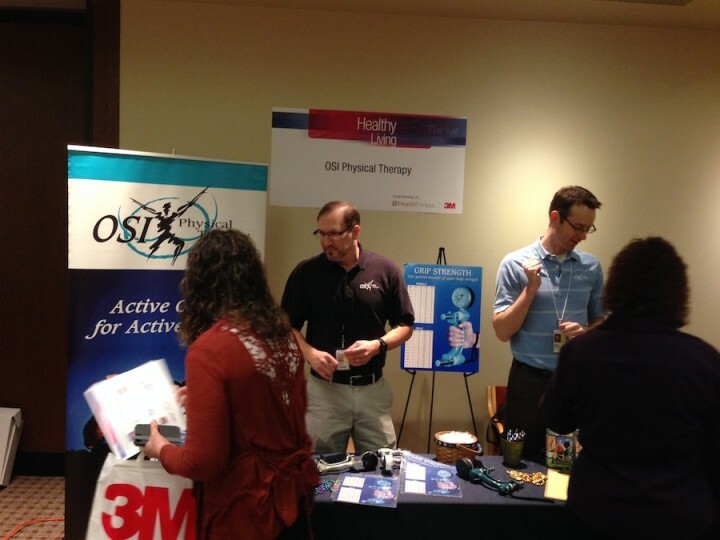 I’m obviously not an authority on physical therapy and occupational therapy, but as the Chief Marketing Officer for OSI I’m their biggest advocate, so I was thrilled to participate at this 3M fair. As I met Kari onsite to set up, I noticed the incredible level of security and various levels of clearance people had. I suppose with such valuable products there’s a necessary level of security needed to protect these trade secrets. I even remember a story my friends dad told mentioning that 3M didn’t even file for a patent for some products, because they didn’t want to disclose what was in the product or process. Wow right? Anyways, as we were escorted through the building to the exhibitor hall, it seemed to be this insanely busy little city. There were so many people whizzing by simply ‘doing their own thing’ it felt somewhat surreal. No one really looked at me let alone made any conversation. For some reason the Jetson’s theme kept running through my head as everyone passed on by. The furniture gave off a futuristic sense of style that brought back memories of old Stanley Kubrick films. Kari and I managed to get our table set up and we prepared for a large crowd. We offered a simple spin wheel to win a variety of prizes, as well as offered a grip strength test to determine a person’s grip strength. They were quite popular and people lined up to do both. There were several vendors there, including a hula hoop specialist who kind of stole the show. I don’t recall the last time I actually did the hula hoop, but I wasn’t going to revisit that in front of 1000 people. One vendor was offering these really unique exercise shoes that spring you into the air as you run. Nate from OSI was brave enough to give them a try. He did awesome. It was very engaging and the visitors were such amazing people. This year we had nearly 1000 people come through in a 5 hour period of time. It was incredibly busy and the time flew right by. 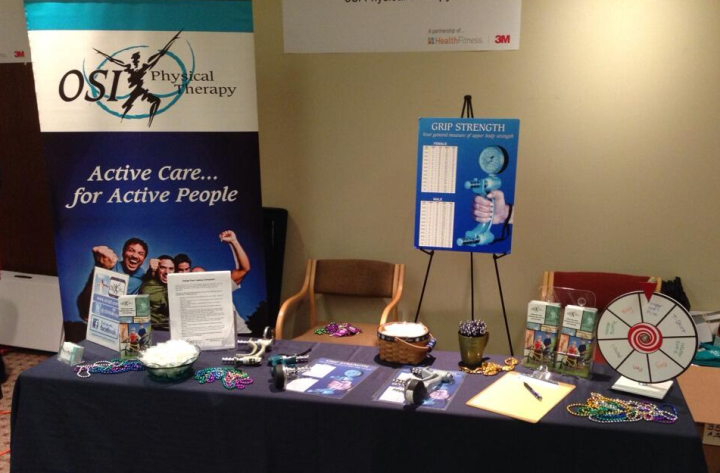 One of the best parts of going to events like this is being around our awesome physical therapists. It’s quite an experience to hear them talk to people about all their issues and various forms of pain. Our team of PT’s are an incredibly smart group of people that are great at what they do. I am so proud to be a part of this OSI team. If you’re having any troubles or pain you should take a moment to have a free phone consultation. It’s worth every moment. Just talking to a PT begins to put your mind at ease knowing that there’s a solution for you. Hope you enjoyed reading!